Welcome to Broward's best pool service company. We already provide pool services to some of your neighbors and would welcome the opportunity to take care of your pool too. Swimming Pool Man LLC is fully licensed and insured and provides cost effective pool cleaning and maintenance services so your pool is always in top condition with crystal clear and healthy water ready for your enjoyment. We take pride in delivering peace of mind to all of our customers and pay close attention to your water quality making sure you have the appropriate balance of chemicals. We clean your filters and make sure that all the moving parts like pumps, motors, timers and valves are kept in good working order. Unlike many other companies we really do turn up every week and just as importantly, we provide top quality swimming pool service at a cost effective price. We offer an array of pool cleaning and maintenance service, pool service and maintenance, monthly pool service cleaning, swimming pool cleaning, swimming pool cleaning and maintenance, swimming pools cleaning services, and swimming pool cleaning service at very reasonable swimming pool cleaning service prices, so give us a call today. 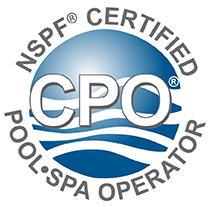 All services offered are for both Salt Water and Chlorine pools. From small splash pools to large commercial pools, we offer the service you need at a price you can afford. Balance chemicals and water chemistry. Clean leaf baskets and wash filter. Full clean of pool including skimming, brushing walls and vacuum. Repairs - We offer all repair services from pumps, valves and filters. Leak Detection - We can find your leaks and repair them at a cost to suit your budget. Take a look at our SERVICES page for full list of our offerings and prices. Call now if you need a top quality, dependable pool service tech. We have a weekly service program that will suit your needs, as well as your budget. Serving the following Areas in Broward County. Take the guess work out of pool chemistry. Get a perfectly balanced pool for just $66 monthly. Get peace of mind and let us take care of everything. Swim and enjoy for just $95 monthly.